YNAB - Week 6 - Ouch! Six weeks in, and things are still going slowly. I re-sat one of the online classes yesterday, which must be the third or fourth time I’ve done it now. I can’t say that I am learning anything new by sitting the same class all the time, but it at least reinforces the message of how YNAB works and gives me a bit of a boost when using it. I find myself going through my budget and trying to adjust things accordingly. I’m in this situation as I was expecting more money in this month than I got, which is daft as YNAB teaches that you should only work with money you have. In other words, on pay day I should go into YNAB and allocate from there, not before. The problem is that my Direct Debits are all set in place, so there’s lots of stuff that I can’t (or rather would really not want to) move from the budget. That means that I need to look at other areas. Straight away I can cut my grocery budget as well as my coffee budget (yes, why are you surprised that I have a coffee budget?). The other option is that I remove some money from savings to balance out my budget properly, which is what I think I will need to do. 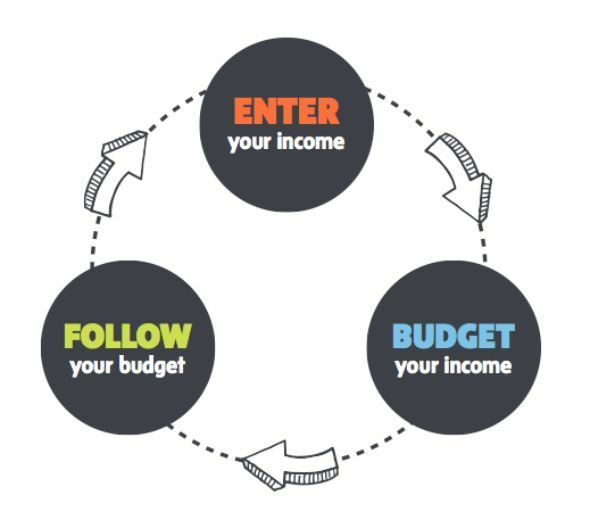 Enter your income, budget your income, follow your budget. Should be easy, right? The good news continues to be that I am still paying much closer attention to what I’m spending, which is helping me to save money. I’m almost certain that if I had not been using YNAB, then I would have a shiny new Amazon Fire Stick in my possession, which is on my wish list. Seeing as it knocks in at over £30 it’s something which doesn’t fit into the budget this month and so is on the back burner. Work continues to be slow, and an email from my manager this morning doesn’t give me hope that the situation is going to pick up for at least another week. Again, I’m getting paid a basic wage, but it’s the ability to not earn a bonus that is having an effect. For now, I am getting bonus payments through for work done a few weeks ago and things are tight. There will come a time when having no work now will translate to having no bonus coming through and that is going to be really hard. With that said, I have spoken to a couple of people about other opportunities. One is doing some freelance work for a collections company, which would tie in nicely with what I do at the moment in terms of the areas I cover. The other is for a permanent position in another company which appeals greatly but isn’t available until October. My current contract states that only one weeks notice needs to be given by either side, so although that is great if I had a new job to go to immediately, it isn’t great if any new company doesn’t want to take me on for two months. I can’t see work doing anything other than letting me go with weeks pay if I offered to work a two-month notice period. Watch this space for news on that one. Thankfully I’ve managed to squirrel some savings away which will help with the lean period. Read my previous posts about YNAB: Week 1, Week 2, Week 3, Week 4 and Week 5. I have a referral link which gives you a 10% discount on YNAB. Simply use this referral link. I’m a great believer in a Rainy Day Fund. Should be enough to pay all bills for a three month period. If it’s still raining after that then it’s an Act of God and you’re probably stuffed anyway. I’ve squirreled away a few quid in case of the Deluge….cos you never know what’s round the corner. Good luck with your budgeting. Great Post. But I’m still feeling the pinch!